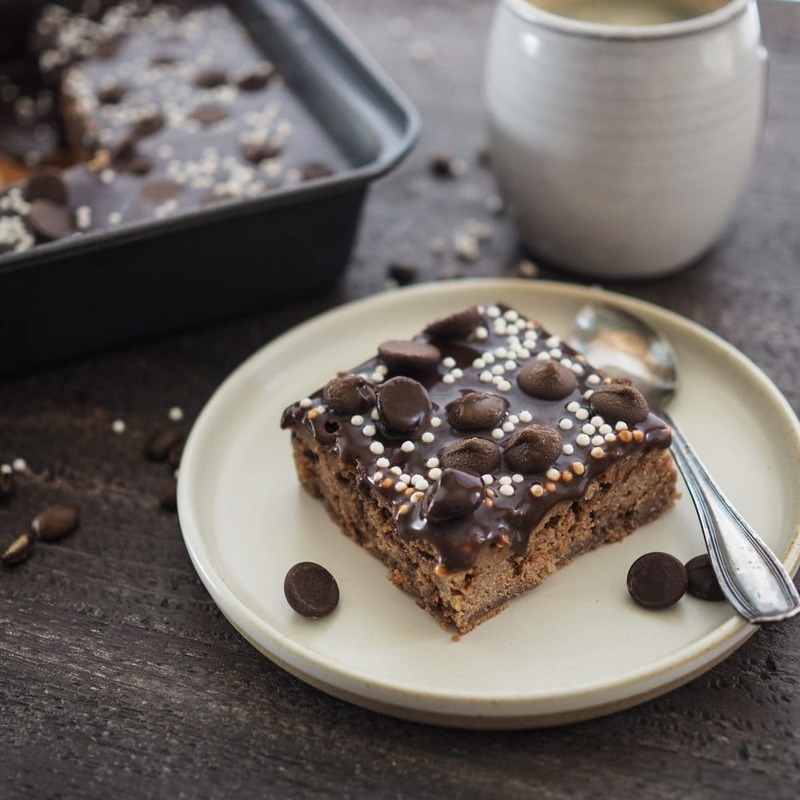 If you’re a fan of chocolate, coffee, or anything mocha flavored, you’re going to love the Finnish dessert, mokkapalat. 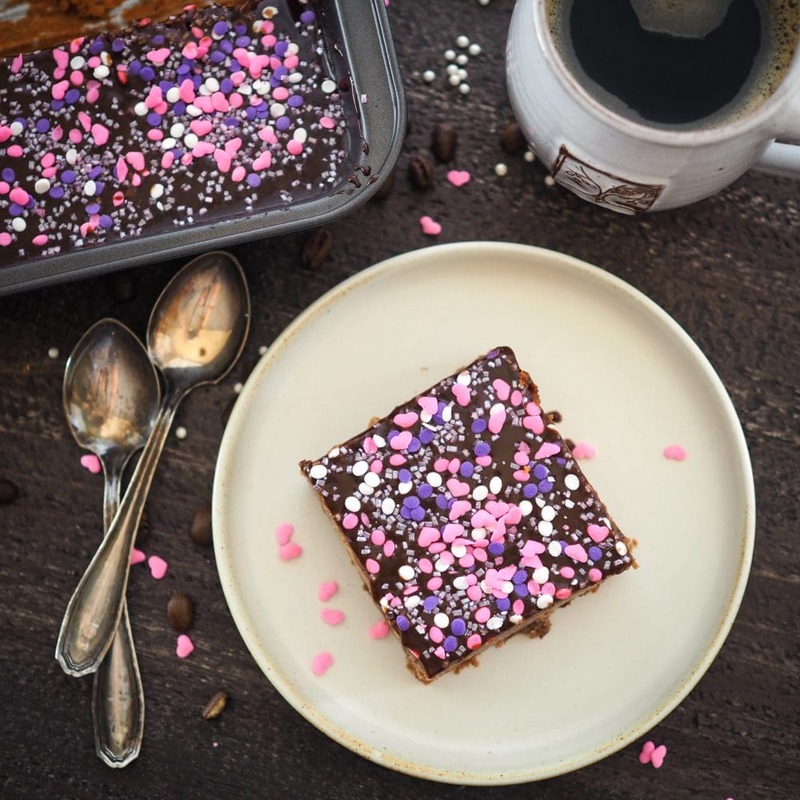 Similar to mocha brownies, Mokkapalat is a short, dense, chocolate cake with a rich mocha frosting. And the name mokkapalat translates to ‘suede pieces’ in English, which I think is quite fitting for the decadent texture and flavor of this sweet treat. My friend Tiia, who also runs a popular travel blog called Fan Girl Quest, saw that we were planning a visit to her hometown of Helsinki and sent me this recipe to try via Facebook. The photo Tiia sent of the batch of mokkapalat she just baked looked so deliciously temping, and charming too with the pink candies sprinkled on top. If you search for mokkapalat on any social network, you’ll see that sprinkles are a requirement. The Finns drink more coffee per capita than any other country in the world, so it’s only fitting that one of their most beloved desserts is flavored with coffee. We hope you enjoy this recipe for mokkapalat as much as we do! Measure out all your ingredients for the cake, allowing the butter to warm up to room temperature. Cut two pieces of parchment paper to fit the bottom of two 9×9 baking pans. Combine the flour, baking powder, and 4 Tbsp cocoa powder in a separate bowl, whisking or stirring together with a fork until they’re well blended. Set aside. Cut 2 sticks of butter into smaller chunks, then add the butter and granulated sugar to a separate bowl or stand mixer and beat together until creamy. Then stir in the eggs one by one, whisking them before adding to the batter. Add the flour mixture into the batter alternately with the milk. Once the batter is well blended, pour into prepared baking pans. Place pans in the middle of the oven and at 400 degrees for 15 to 20 minutes until the center is firm. While the cake is baking, add the remaining stick of butter as well as the coffee to a saucepan on the stove and heat on low, stirring until the butter is melted. Keep the heat on low and do not let it come to a boil as the mocha chocolate sauce will not thicken. Once the coffee and butter are melted together, add the 1/2 cup of cocoa and stir until blended. Next, add the powdered sugar 1/2 cup at a time, stirring until it is all dissolved. (It’s okay if there are a few lumps). Add about a cup of ice and a cup of water to a large bowl to make a cold water bath. 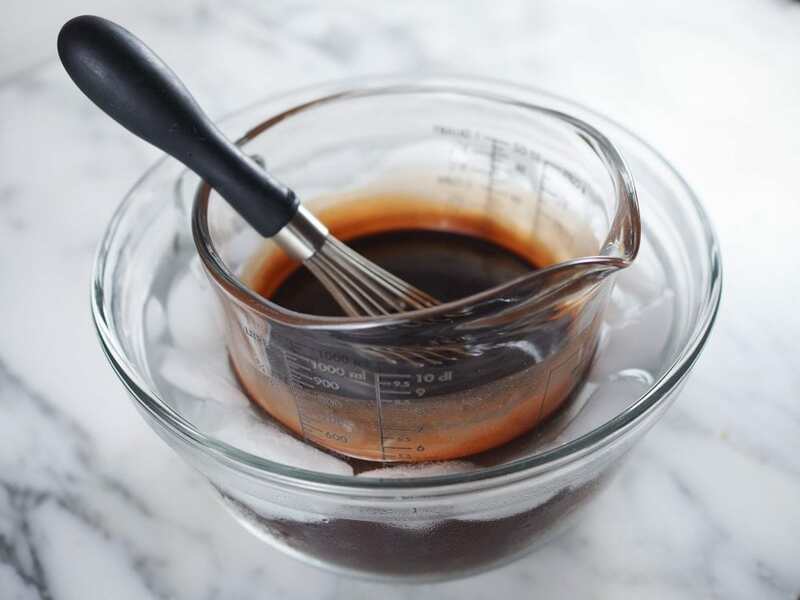 Then, set a smaller glass bowl or measuring cup into the cold water bath and pour the mocha sauce through a sieve into the smaller bowl. Stir the sauce until it thickens to the consistency of a syrup. Pour the mocha sauce onto the cooled cakes. Add decorative sprinkles or chocolate chips, then let it cool in the refrigerator for at least an hour to set. Cut into square pieces and serve.